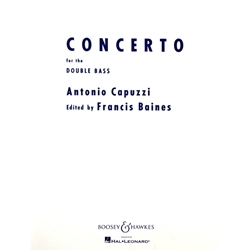 Composed by Antonio Capuzzi. Edited by Francis Baines. Key of F major. Published by Boosey and Hawkes. Distributed by Hal Leonard. This piece of music is used in certain years for the Vermont All State Music Festival bass audition.